The Construction Planning Group, a practice within a practice, specializes in providing Financial Planning for contractors. Protect Your Family. Safeguard Your Business. Preserve Your Wealth. Our goal is to get to know you and what's important to you. We take the time to understand your situation and requirements. We then provide you with the resources you need to make the appropriate decision about your financial future. We offer you information that's relevant, timely, and, above all, understandable. 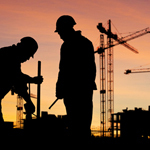 The Construction Planning Group has 20 years of experience assisting contractors and those associated with the industry. Although we do not provide bonding, we consider bonding issues as we deliver financial planning advice. We weave succession planning into your estate planning goals, we have the experience to help you balance your individual family and company needs. We offer clear-cut alternatives with perspective so that the decisions you make today are still appropriate tomorrow and are flexible enough to accommodate your changing needs. Finally, we help you prioritize and quantify your objectives and we help evaluate your ability to meet your financial objectives, given the current value and structure of your income and assets. We listen carefully to you, conduct an in-depth analysis and provide personalized alternatives, so you can be confident any financial recommendations we make are tailored specifically to your circumstances and will help you towards meeting your objectives.